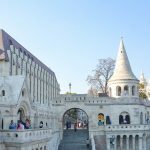 Snow covered mountains and woollen underwear are a far cry from white sand beaches and colorful bikinis, but somehow the former setting served as the most epic leg of my Euro-trip. Who would have guessed? 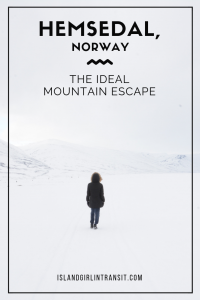 After two days of rustic cabin living in the Norwegian countryside I felt relaxed, rejuvenated and ready to take up residence in a quaint little cabin of my own. I have my wonderful friend, Line, to thank for this amazing experience! 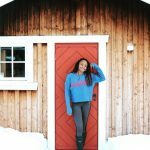 And, since everyone isn’t lucky enough to have her serve as their hostess, I took some notes from her playbook in order to share these 8 tips on how to enjoy cabin life in Norway. 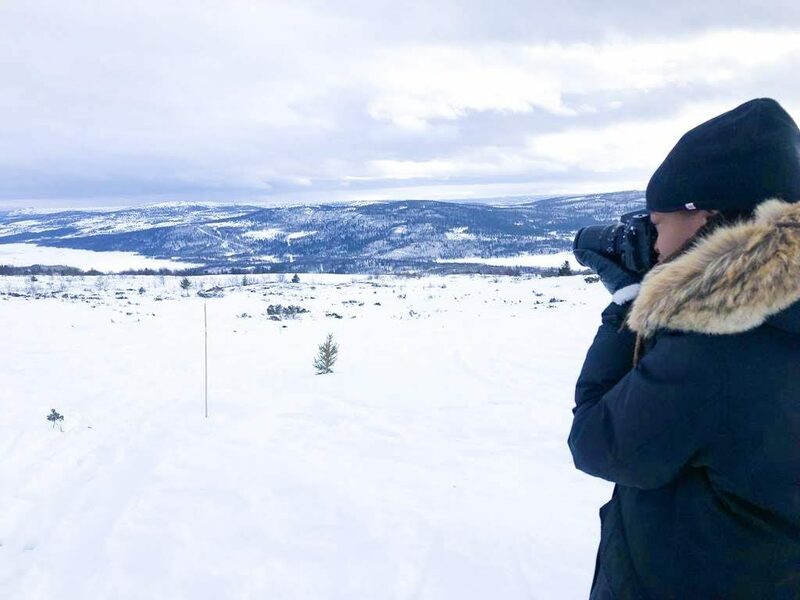 As beautiful as Hemsedal is, and as well equipped as the cabin was, Line’s expertise is what made my stay so comfortable. A weekend-long cabin run is as common to her as a daytime beach run is to me and she ensured we had everything we needed. The car was packed to capacity with all the essentials – from a multitude of warm layers to tons of ingredients for preparing delicious meals. There was not a single thing we needed during our brief stay, that we didn’t already have. 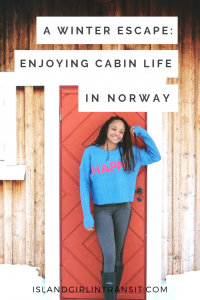 After all, cabin life in Norway is all about being prepared, which made it a lovely, stress-free mini-break. No matter where you are in the world, the sunrise is one of those wonders that will always take your breath away. Truth be told, my first sunrise in the mountains is likely one of those sights I will never forget. It somehow morphed from a brilliant scene before me, into an intense emotion inside me. To this day I still can’t fully explain the feeling I got. There was something very magical about witnessing a sight as universal as the sunrise in a place so very far removed from my everyday reality. It was a moment that required only a mental picture to ensure it would live on in my memory forever. Silence is one of the most beautiful sounds in the world, but opportunities to hear it are truly rare. Up in the mountains, it’s everywhere, every day. Apart from the occasional barking of a dog or a vehicle making its way up the hill, there was not a peep to be heard outside. Just complete stillness, punctuated by the occasional whistling of the wind. It was beautiful. Peaceful. Enchanting. Unreal. And something everyone should have the pleasure of (not) hearing at least once in their life. I never thought it was possible to be out in the cold for hours and remain warm. But it is! If you layer up the right way. We’re talking wool underwear (which I now know must always be the layer closest to your body). Super-thick jacket (with hood). Insulated boots. Ski hat. Mittens. And a little extra protection for my face. With all of that coverage I was strolling through the snow like a pro. And dancing to soca music like Bacchanal Road had actually made it to Norway! 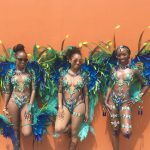 (For all the non-Trinis, Bacchanal Road is a popular, massive, pre-Carnival fete/party). Yes, this warm-weather-loving Island Girl is actually advising you to spend “quality time” in frigid temperatures. No, she hasn’t gone crazy. The truth is, if you layer up the right way, you can spend several hours outside in the cold without freezing to death. Try skiing (I didn’t). Have a go at snow shoeing (I did). 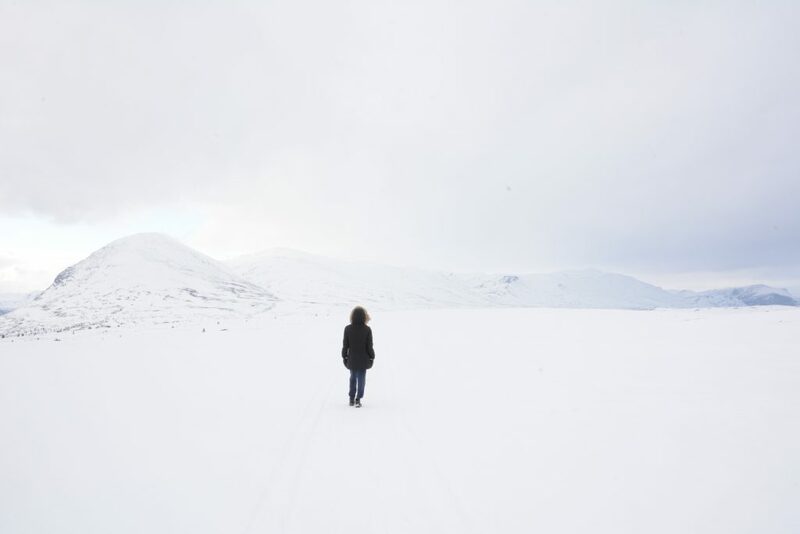 Or simply take a stroll and soak in amazing, 360 degree, snow white views that stretch on for miles. With the air as crisp and as fresh as it, you’ll feel completely rejuvenated by the end of your excursion. There’s something about being far away from civilisation that makes the idea of disconnecting endearing. No television. No landline. No internet connection (besides your phone (or, in my case, my Tep Wireless device). Suddenly, you’re fully in control of when and how people can reach you and it’s a liberating feeling. Embrace the fact that you don’t have TV channels to idly flip through. Bask in the glory of those moments when you’re completely offline. Spend time talking, listening, reading, thinking and take full advantage of this opportunity to truly go back to basics. After all, that’s what cabin life in Norway is all about! Let’s face it, we only have one life to live and I’m a firm believer in doing what makes you happy. Fact: having an internet connection makes me happy. Especially as a freelancer who often finds herself several hours ahead or behind my clients, it’s nice that they can reach me if necessary. 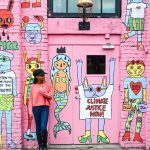 So, while I relished in my ability to zone out when I felt so inclined, I also embraced the fact that when required, I could indeed check my emails, WhatsApp messages and even hop on good old Netflix when I felt like it! I learned that it’s a Norwegian custom for families to keep a notebook in their cabin so guests can write about their stay. I think it’s such a charming tradition to uphold – particularly since note writing is a dying (or dead) art form. My penmanship left a lot to be desired but I still appreciated the opportunity to take the time to leave a handwritten note of genuine thanks for a rare and beautiful experience! Truth be told, there are many different ways you can enjoy cabin life in Norway, however this is what made my experience so enjoyable. Many, many thanks to the Hostess with the Mostest, Line, for making the final leg of my Euro trip the perfect end to an already awesome adventure! This sounds like a dream to me. Aaaah silence (I don’t know the meaning of the word since welcoming my little girl into the world) And being in nature is always a real treat, although like you, I do need to feel a little bit connected to the outside world with access to the internet. 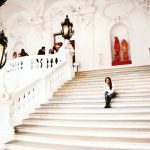 A great write-up and happy to stumble across your blog. I like your writing style and will definitely be revisiting! 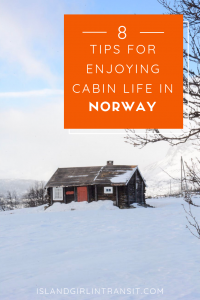 Leaving a note in the cabin notebook is he nicest tip in this post 🙂 I’ve stayed in a cabin in Norway (plan to do it again in Iceland this year) and I completely agree with your tips- firstly, the weather can be unpredictable and can get cold even in the summer. Also, disconnecting is the best thing you can do for yourself but you’re right in saying, you’re not obligated to disconnect completely, if that’s not something that makes you happy and uncomfortable. Enjoying the great outdoors, waking up early to see the sunrise and enjoying the silence are some of the most amazing experiences you can have, in the middle of such gorgeous beauty and nature. Ooh, I love the idea of leaving a note in the cabin. I’ve stayed in places where there was a guest book where I could leave my name and where I was from, but never a place for a longer note. Such a cool idea. I also love waking up early and chasing the sunrise. There’s something magical in watching the world around you come alive. And being in a place that you can choose to totally disconnect would just add to the magic! Being there really was magical 🙂 One of my best travel memories ever! And yes, the idea of leaving a full note was really sweet and I enjoyed detailing everything I enjoyed about the experience! I love Scandinavia — it’s in my blood! I definitely agree with you that you should take the time to wake up for a sunrise and unplug. Both of these activities I try to do on every vacation I take. I think it gives us time to slow down and simply process what we are experiencing. We’re constantly on the go, go, go and I think unplugged reminds us of that. Certainly, take some pictures to remember the trip by, but don’t spend your vacation with a screen glued to your face. That’s exactly it, we need to find the perfect formula when we travel and for me it’s definitely less screen time, more me time! Your pictures and your post took me to Norway for some time, into one of those cabins. I would love to do this at least once in my life. Watching a sunrise against a snow white horizon must have been heavenly. I love the notebook tradition too. Makes all of this sound so dreamy. A cabin life in Norway was never on my list. But seems, now, I have to make amends. I never thought of Cabin stay before reading your post but it must be great to enjoy the solitude. 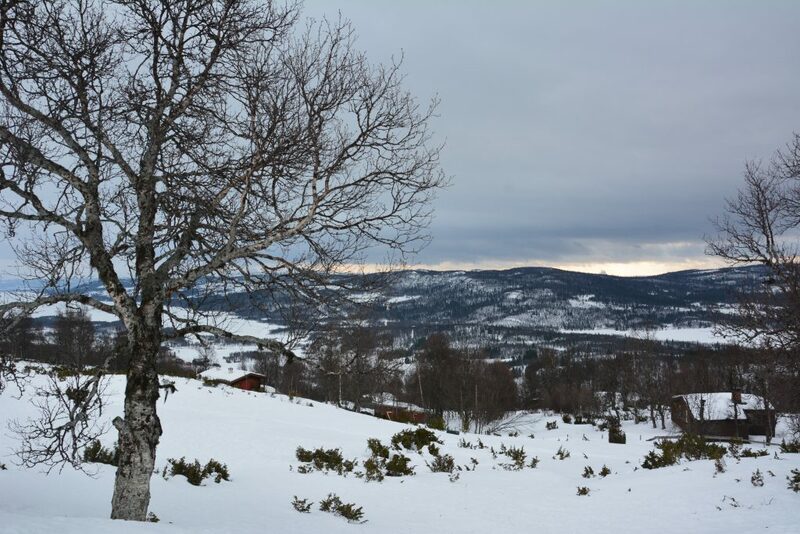 Getting disconnected from social media and other disturbances is a great way of rejuvenation by living in the countryside of Norway. Layering up and keeping ourselves warm is very important here. I would really buy some good insulated or thermal wears. for this cabin stay.